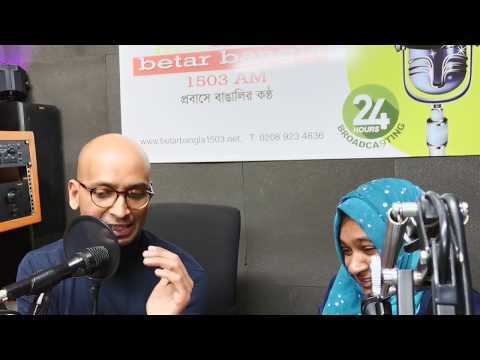 This is your second half of the weekly Betar Bangla Radio/ Youtube show. Your tips of this week is how you can save money on your water bill. Here is your chance to find out about different types of bank accounts: savings accounts, current accounts, basic accounts, Post Office accounts and joint accounts. You can also find out ways for you to make a complaint against your bank if you are unhappy with its services. Find out ways you can prevent your creditors from taking money from your account without your permission. Thank you! If you want to get involved with making shows do let me know. Thanks for sharing this amazing podcast with us! Your knowledge is priceless! I'd like to advise you reading this article http://www.agsinger.com/husband-and-wife-finances/ in order to find out some great ways of managing husband and wife finances correctly. I think that the general goal of a family budget is a yearly, monthly or weekly picture of what you need to spend and what you have left over, don't you agree with me? Personally for me, the hardest thing about managing finances is keeping the track of what I spend. What about you? Thank you for sending me the link. I will certainly be using your topic in the future. If you have any other ideas for me feel free to let let me know.